Grew up with Zastava Kragujevac. Made his debut with Zastava Kragujevac during the 2002-03 season. Played there till January '04. Signed for the remainder of the season by Crvena Zvezda Belgrade. On february'05 moved to Turkey signed by ITU Istanbul. On March'05 back to Serbia, signed by Egronom Best Nis. Moved to Germany for the 2005-06 season, signed by WT Tuebingen. Moved to Serbia for the 2009-10 season, signed by Hemofarm Vrsac. 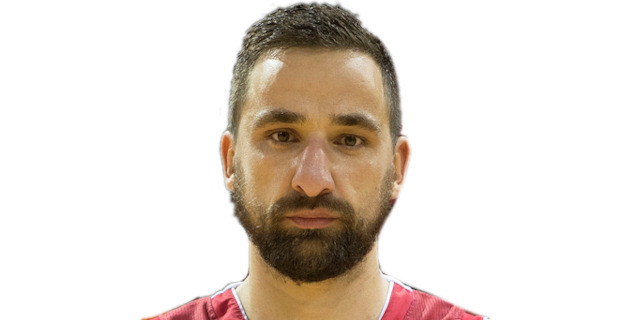 Signed for the 2012-13 season by Crvena Zvezda Belgrade. Moved to Spain for the 2014-15 season, signed by CAI Zaragoza. Won the 2010-11 and 2011-12 Serbian National Championship with BC Partizan Belgrade. Won the 2013 and 2014 Serbian National Cup with Crvena Zvezda Belgrade. Won the 2011 Adriatic League with BC Partizan Belgrade.